We visited the ALERT hospital today. The hospital was built in 1965, it serves as a treatment center for men and women suffering from leprosy. Leprosy is still wide spread, but with diagnosis and treatment patients aren’t contagious. Unlike biblical times, most lead normal lives. Unfortunately, if people waited to long, or had a severe case, extreme disfigurement can incur. The hospital houses and employs some of the more severe patients. We watched these men and women hand embroider linens and work looms, as they created beautiful pieces to put into the gift store. 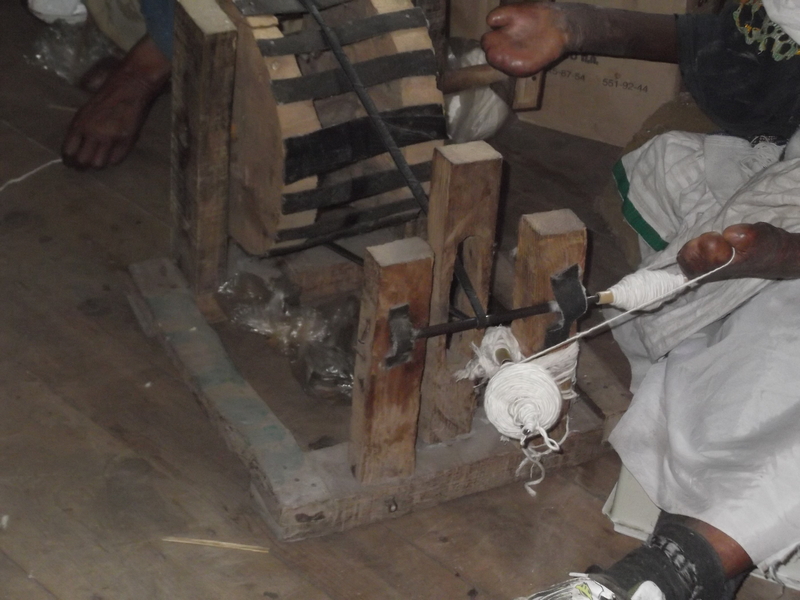 One woman was able to spin cotton to be loomed, and she didn’t have any fingers. The kids handled these tough scenarios with such grace and compassion. I really don’t know what to say, just heartbreaking and inspiring at the same time. We purchased a table cloth and napkins to give to Melawit on her wedding day. As well as several scarves to take home as gifts. We then went to the silk factory, and that was cool to see. We saw how it went from larvae, to caterpillar, to cocoon, to silk….each part is used from the dead pupae to the feces. An interesting observation the kids had was that there wasn’t any waste of this natural process, that every bit was used. Unlike the trash you saw in the city from day to day that was man made. Just shows God’s creation and cycles are perfect. At the end of the day we went to the Mercado, the largest market in Africa. It was CRAZY. Like straight out of a Indiana Jones movie :). People everywhere, cars everywhere, donkeys everywhere. You could buy anything and everything there. They let nothing go to waste, the even rinse out and resell water bottles. Some food vendors sell food by the bite for those who can’t purchase the entire meal. We bought some spices and a ground chickpea mixture called Shirro to be able to make some traditional dishes (or attempt to make) for Melawit. Tomorrow morning we ride up Entoto mountain to see the view….which includes women who make the hike up and down the mountain carrying 150 pounds of wood on their backs. The wood provides fuel to those in the city, but this laborious job nets about $2 a trip. We will then go to Korah. This is the community of people (approximately 100,000) who literally live in the trash dump. We get to serve lunch there to kids at a feeding program by Hands for the Needy. Please pray for our hearts (josh and I and especially the three kids). I have heard that this is very very very hard. We are so thankful for the opportunity to serve, and feel blessed to be allowed to share in this. After lunch we are going to the church to hear the story of Belay, our in-country director. His father was the head of security for Emperor Selassie (the last of the Solomonic empire), when the communist party took over in Ethiopia. Our night will end at a pizza party for one of the government run orphanages called Kechene. We are all exhausted at the end of the day, and the kids are taking naps for the 1st time in years. I am not sure if the exhaustion is from the time difference, the emotions from all of this, or a combo of both. I do know that it is one of the best things we have ever done as a family, and are so thankful for this opportunity. All I can say is Africa is beautiful and hard, and it is forever etched into our hearts. Thanks for all the positive notes and prayers. They have been felt. Please continue to pray for us to pass court Friday, so we can shout to the world that Melawit is ours!!! Spinning cotton at the Alert hospital.